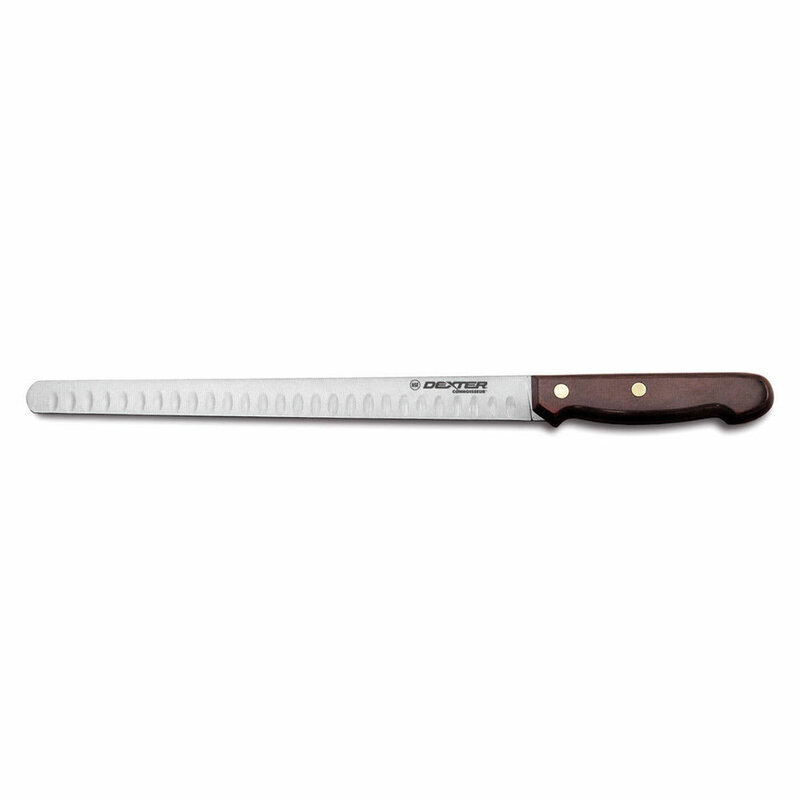 "I initially had gotten an 8 inch bread knife, serrated. I was piecing together a set of non serrated knives, just easier for me to keep sharpened..."
"I initially had gotten an 8 inch bread knife, serrated. I was piecing together a set of non serrated knives, just easier for me to keep sharpened than serrated knives. But I hadn't been able to find something like this, so I gave in and got the serrated bread knife instead. Saw this recently while buying other knives, got it and replaced the serrated bread knife. Very happy with this knife. It has scalloped sides (the sides, not the blade), think that's to keep food from sticking but am not positive about that. 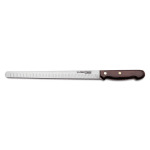 In any case it works great, very good quality knife, slices and carves very well. Sharpens very well too. Also very very happy to finally have a set of all non-serrated knives with the addition of this one."